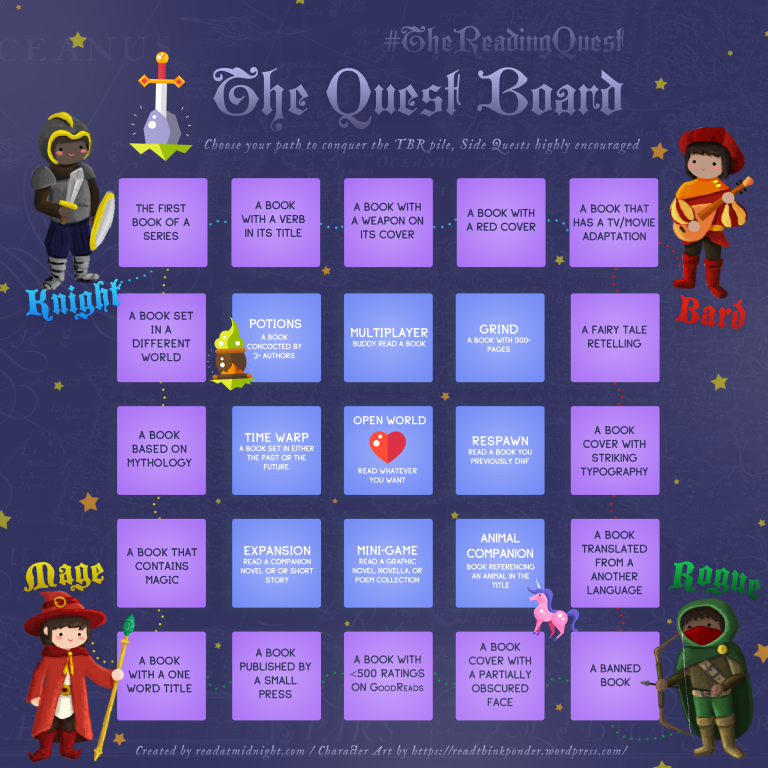 It was when I was at YALC that I first discovered #TheReadingQuest. It popped up on my timeline on Twitter and I was like "Oh?" and then Kelly was off explaining about the amazing reading challenges that Read At Midnight hosts. And I knew I had to join in. 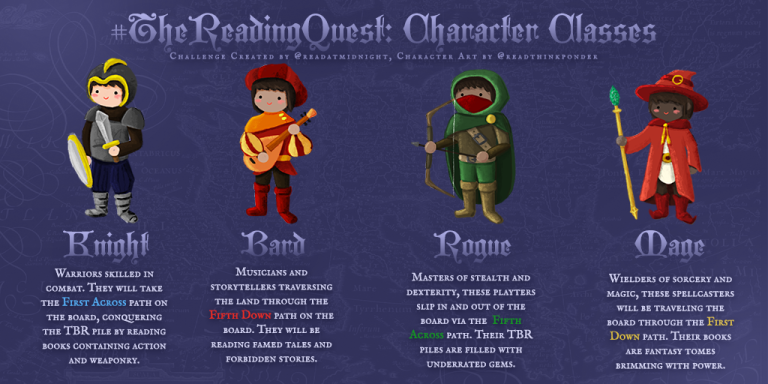 I'm not able to make a fancy graphic, my poor wee laptop just wouldn't be able to take it, but CW from Read Think Ponder made the most beautiful artwork for the quest. Hopefully I can somehow make up a card before the quest ends! I'll post here if I manage it. 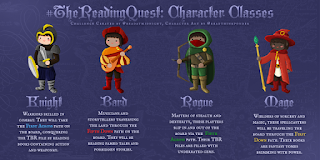 The Reading Quest runs from 13th August to 10th September and I am planning to read A LOT for it. Especially as there is a cheeky bank holiday coming up, and I plan on spending it all reading. I'm starting as a Rogue, but may try Mage as well! I will be following the Rogue path and completing as many side quests as I can. I am really going for it with this challenge. It will not be easy, I will be pushing myself outside of my comfort zone, but I think I can definitely tackle my TBR and those side quests I have my eye on. Are you taking part? What would you read? 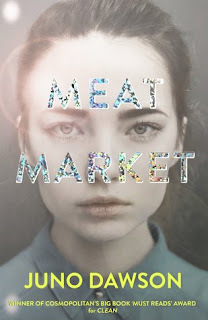 Game of Thrones is a great book, I hope you'll enjoy it! And this challenge looks fun!! You are such a ROGUE!! 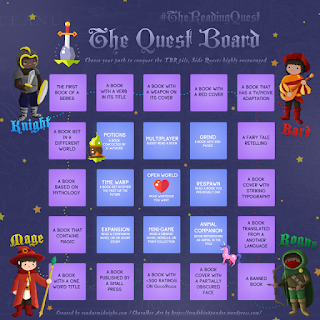 I've chosen the Knight because I could fit 4 of the prompts to my ARCs or NetGalley backlog haha.